This page continues to be updated as we search through old files . 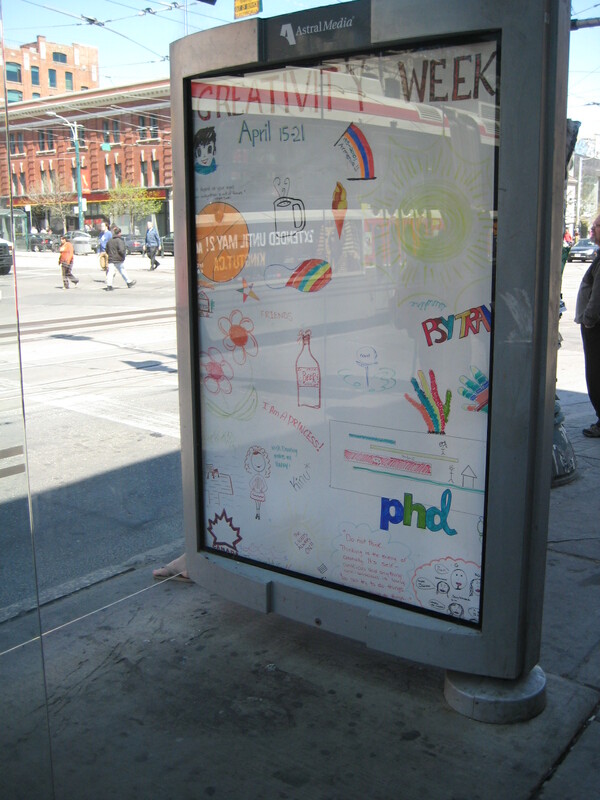 PHD Canada in Toronto, Canada celebrated WCIW 2010 in many ways, including hand decorating bus shelters at major downtown intersections. They decided having recess was a good way to encourage creativity that week. Article here. 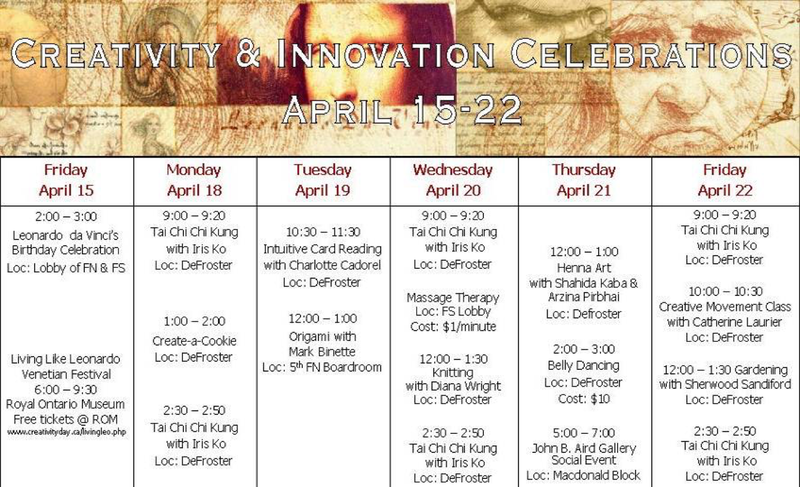 In Toronto Canada Leonardo Da Vinci Awards were given out for Creativity and Innovation in the Arts, Business, Education and Entrepreneurship during World Creativity and Innovation Week April 15 – 21, 2007.